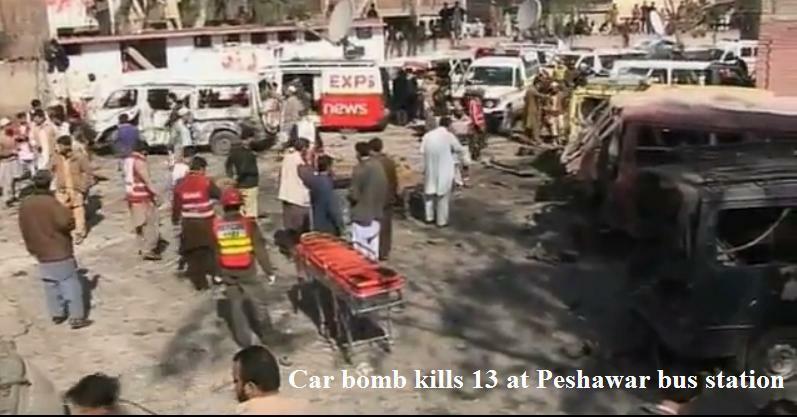 Read: Death toll from Peshawar blast rises to 15 : Dawn News update. 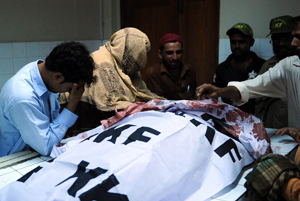 At least 13 killed in blast at Peshawar funeral prayer, injuring more than 20…. 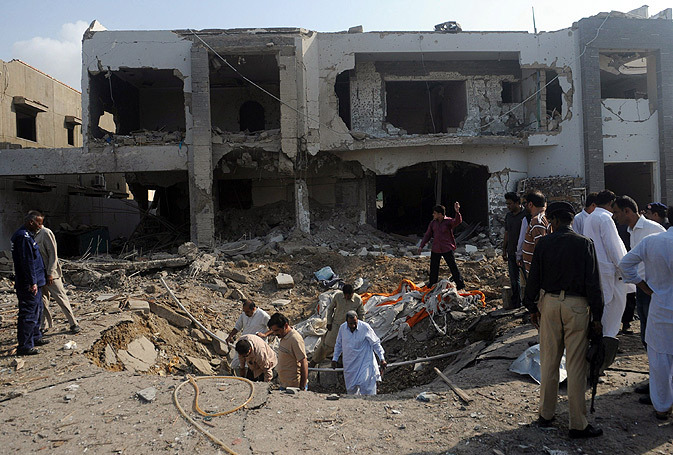 ISLAMABAD |11 Mar 2012 | IANS: Thirteen people were killed Sunday when a huge explosion ripped through a funeral prayer being held in Pakistan’s Peshawar city. 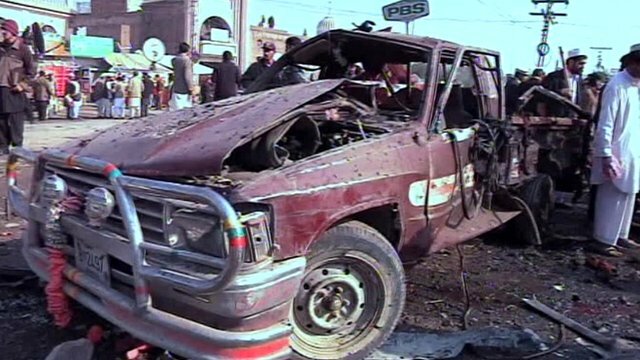 The deputy speaker of the provincial assembly left the spot minutes before the blast. 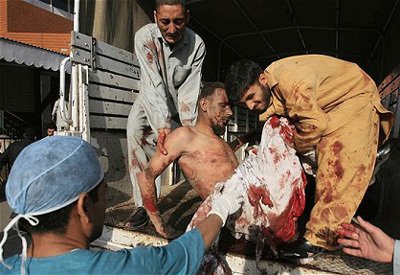 The explosion occurred during funeral prayers in Budh Bher area in Peshawar, the capital of Khyber Pakhtunkhwa province. 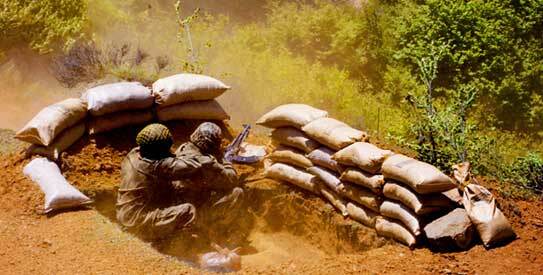 The deafening explosion spread panic in the area, with the wounded crying out in pain. 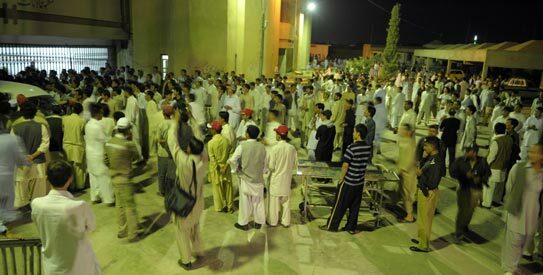 Reports varied on the number of injured. While one media report put the figure at 29, another said 31 people were left bloodied. Geo News reported that Khyber Pakhtunkhwa Assembly Deputy Speaker Khushdil Khan, who also attended the prayers, had left the spot minutes before the blast. 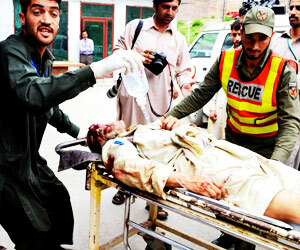 The bomb exploded near a graveyard Dawn quoted police officer Kalam Khan as saying. Xinhua cited a TV report as saying that the bomb was mounted on a motorcycle. 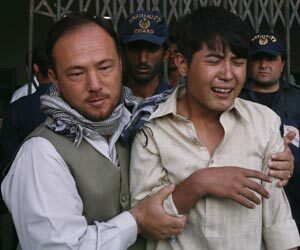 The area where the bombing took place is known for anti-Taliban ‘Lashkars’ (volunteers) who support security forces against the militants. It was not clear if any leaders of the peace committee who are routinely targeted by the militants attended the funeral. 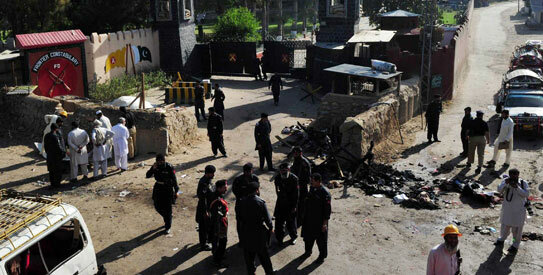 A little over a week back, an intelligence official was fatally shot in Peshawar. 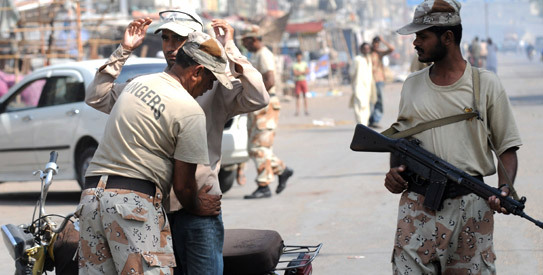 On March 2, gunmen opened fire at Bashir Khan, an Intelligence Bureau inspector who was on his way to work on his motorcycle. 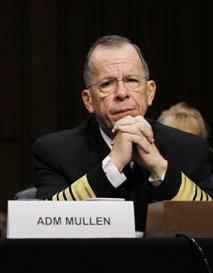 His 13-year-old son was injured in the ambush. 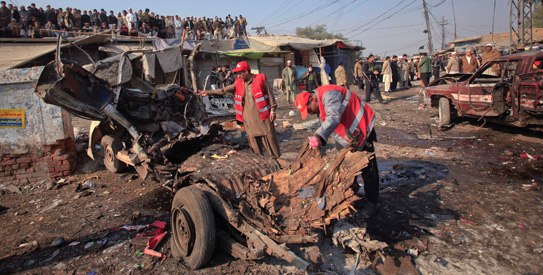 Pakistan is battling militants, who have viciously struck back. 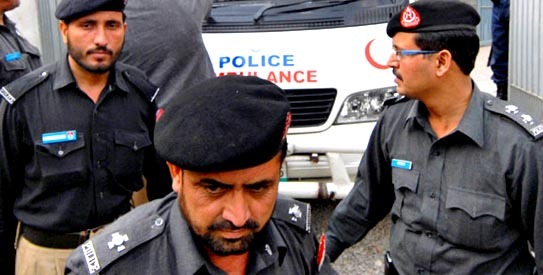 On Feb 24, three policemen were killed and six injured when three heavily armed suicide attackers went on a shooting spree and hurled grenades at a police station in Peshawar. Hours later, a suspected terrorist was injured while planting a bomb. 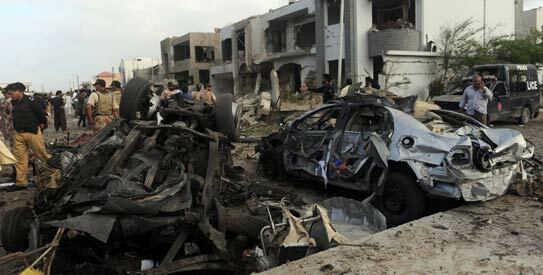 The brazen attack was carried out a day after a deadly car bomb killed over a dozen people and injured more than 20 in the city. 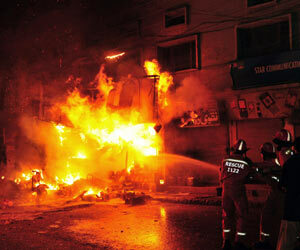 Courtesy: AFP | Reuters | Dawn | Agencies. 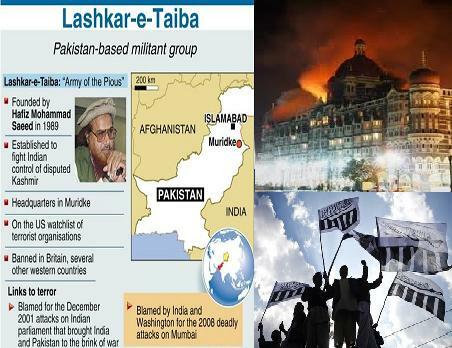 Four top Pakistani terrorists of Lashkar-e-Taiba (LeT) further accused in 26/11 Mumbai Mayhem. Chicago, April 26 (IANS) US federal prosecutors have added four top Pakistani terrorists tied to Lashkar-e-Taiba (LeT) as accused in the case against Pakistani-Canadian LeT operative Tahawwur Rana for helping to plot the November 2008 Mumbai terror attacks. The four identified as Sajid Mir, Abu Qahafa, Mazhar Iqbal and ‘Major Iqbal’ were charged Monday in US District Court in Chicago, though none of them is in US custody. All four are charged with one count of conspiracy to murder and maim in India, while Mir, Abu Qahafa and Mazhar Iqbal additionally are charged with conspiracy to bomb public places in India. They also face six counts of aiding and abetting the murder of US citizens in India, which carry maximum sentences of death or life imprisonment. The revised indictment comes three weeks before the scheduled May 16 trial of Rana, a Canadian citizen who is accused of using his First World Immigration Services business to provide cover to Pakistani-American David Coleman Headley, to scout targets for the Mumbai attack. 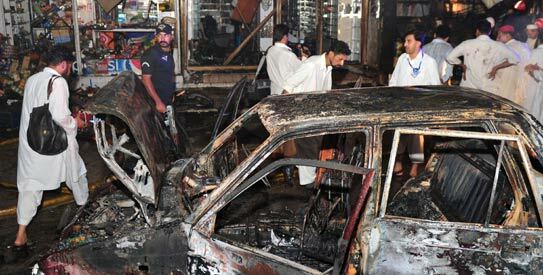 Headley, the son of an American mother and Pakistani father, pleaded guilty in March 2010 to 12 criminal counts including aiding and abetting the murder of Americans in Mumbai and agreed to cooperate with the prosecution in a plea deal to escape the death penalty. Mir, also known as ‘Wasi,’ aka ‘Ibrahim,’ and ‘Sajid Majeed’, who reportedly joined the Pakistan based terror outfit LeT at age 16, allegedly worked as Headley’s handler for two years. ‘More specifically, during the course of the attacks, the attackers were advised to, among other actions, kill hostages, set fires and throw grenades,’ the indictment said. There is also a warrant for Mir’s arrest in India. 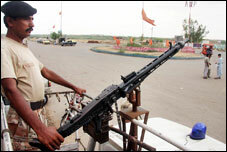 During the Mumbai attack, Indian police intercepted phone calls between Mir and his terror teams in Mumbai. 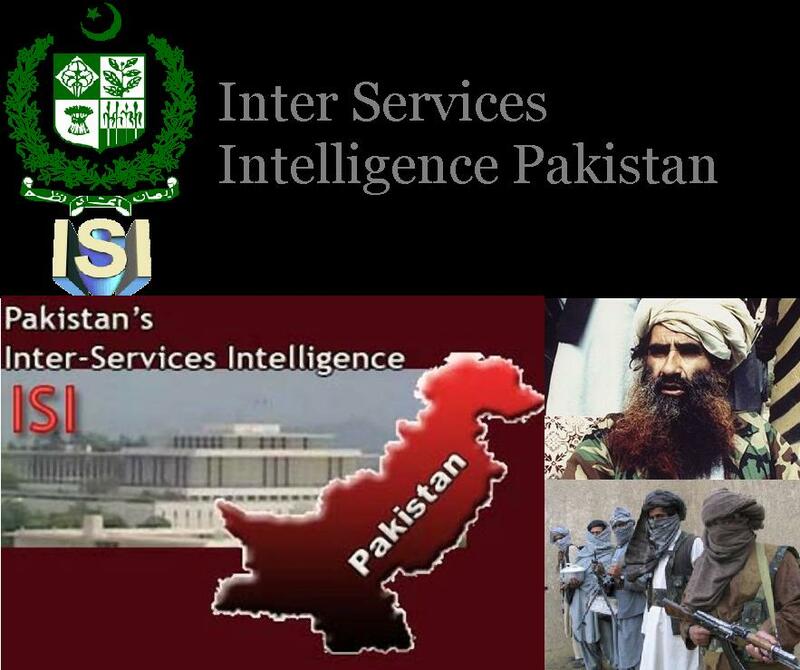 Terrorist group Harakat ul Jihad al Islami leader Ilyas Kashmiri and retired Pakistani military man Abdur Rehman Hashim Syed also were charged in a previous indictment but their whereabouts are unknown. 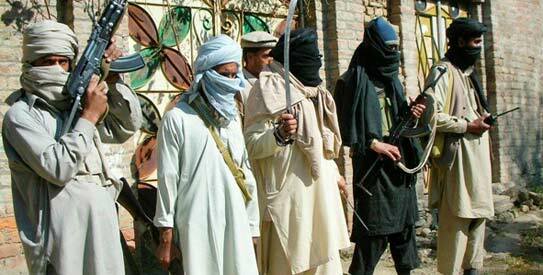 Rana faces life imprisonment if convicted on the charges he provided material support to the Mumbai attackers. Courtesy : IANS | AFP .